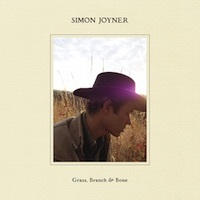 “You Got Under My Skin,” the first track off Simon Joyner’s upcoming album, Grass, Branch & Bone, is being streamed via Stereogum today (right here). The album comes out on Woodsist Records on St. Patrick’s Day. Pre-order your copy here. You won’t regret it. 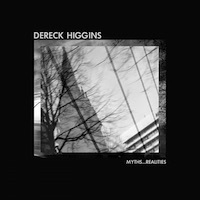 Dereck Higgins’ follow-up to last year’s Murphy LP is titled Myths…Realities and is being co-produced with KiNETiK Records (Greece). The collection is archival material, most of it never released. Preorder your copy of this limited-run release here. Preorders are being taken here for the European release of See Through Dresses’ self-titled LP on German label This Charming Man Records. The record drops in late March. In non-local music news, The Mountain Goats today announced they’ve got a new album coming out April 7 on Merge called Beat the Champ, which is about professional wrestling. “I wrote these songs to re-immerse myself in the blood and fire of the visions that spoke to me as a child, and to see what more there might be in them now that I’m grown,” said head goat John Darnielle. 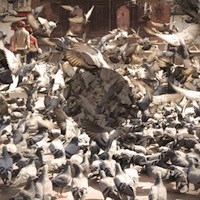 Check out the first track from the album, below. Rock NYC has written a love letter to Matt Whipkey in the form of a glowing review of his upcoming album, Underwater, calling Matt “Omaha’s best export since Conor Oberst.” Read the review here and check out Matt’s latest video, below.